Adrian Monks... and more mealmates! 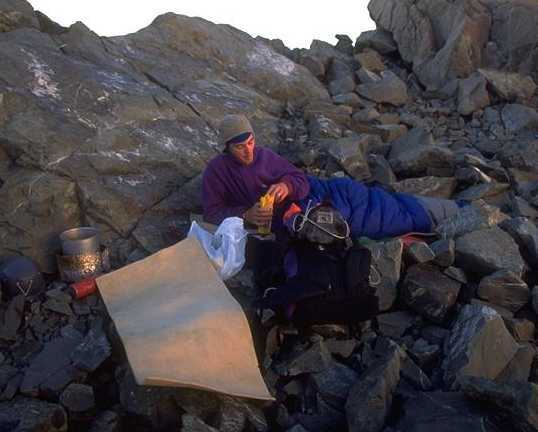 A comfortable bed of rocks on Glacier Rock, Grand Plateau, beneath the East face on Mt Cook. We dug a snow cave just in case a midnight retreat was required.. but fortunately it wasn't.